Dr. Sayumi Irey, Interim Vice President of the Office of Equity and Pluralism, accepted the award at the ceremony held in Blaine, Washington. Some of the innovative approaches to equity, pluralism and diversity launched by the College include the creation of the Social Justice Leadership Institute and the Diversity Summit. The Social Justice Leadership Institute offers intensive, culturally responsive training, mentoring and networking opportunities to historically disfranchised and underrepresented professionals at academic institutions. It kicks off with a retreat and continues with bimonthly, half-day sessions, culminating with a graduation ceremony at the end of the school year. 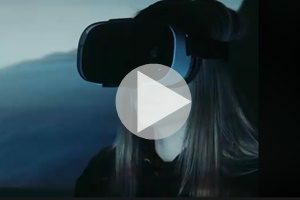 The goal is to provide skills and connections so that participants are able to move into higher leadership positions. While the Leadership Institute is geared for in-depth training to a smaller cohort, the Diversity Summit offers two days of workshops and panel discussions to all Bellevue College staff and faculty at no cost, and outside participants for a small fee. 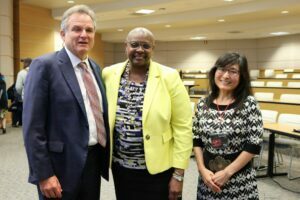 This year’s summit, “It’s time: Disruption for Diversity,” featured a keynote speech from Dr. Sheila Edwards-Lange, President of Seattle Central College. Workshops covered a broad range of topics, like Cultural Responsiveness: Disability and Intersectionality, Intention is not Enough: Understanding and addressing racial microaggressions, and DREAMer/Undocumented Student Workshop. 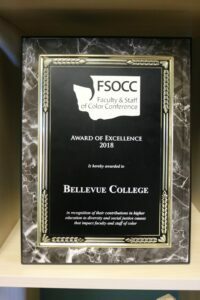 More information about Bellevue College’s Office of Equity and Pluralism and its programs can be found at www.bellevuecollege.edu/diversity. Those interested in participating in the next Social Justice Leadership Institute can apply in April 2019.